May I pay rent online? Yes. Tenants may pay rent online through their tenant portal on the Maxwell Property Management website. Rent is always due on the 1st of each month. Owners grant a 5 day grace period to pay without penalty. A 5% late fee is charged when rent is received after the 5th. Tenants must get authorization in writing from management with final approval from owner prior to moving in any pet. An additional pet security deposit is required, some or all of which may be non-refundable. Who should I contact for repairs? You may submit a repair request online through the Maxwell Property Management website or you may call the office. What is the turn around time for maintenance requests? You will hear back from us promptly and we will arrange service as quickly as possible. Emergency or urgent requests are handled immediately. Where do I pick up keys to my property? 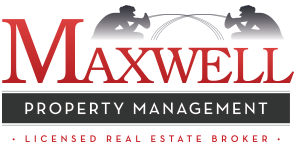 The property manager will meet you at your property for a full move-in inspection. Keys are delivered at this time. What should I do if I want to paint or make changes in the property? You will need to submit a written change request to the office, normally by email. The office will contact owner to see if owner approves request. No changes should be made without owner’s approval in writing. In the event of burglary or fire, if you do not have renter’s insurance you will suffer a catastrophic loss. The owner is not responsible for your personal possessions. How much notice is needed to renew or terminate my lease? We require a minimum of 60 days notice in writing for any change. What if my spouse receive orders from the military for a change of duty station? We are very experienced with working with the military. Generally this type of lease will contain a 30 day military escape clause. This means if you get orders transferring you more than 50 miles from the area, you will be released 30 calendar days after a copy of such orders is received in our office.